Anyone who is getting close to retirement has probably thought long and hard about where they plan to live when they stop working. For many, the dream of a tropical destination and a low cost of living is the perfect scenario, and that is why places like Ambergris Caye are so wildly popular among retirees. Although it's easy to see why a tropical paradise like this island would be a great spot to retire, it's wise not to jump into it before you know everything. 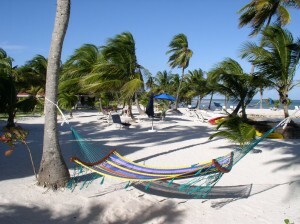 Here are some of the answers to common questions about retiring on Ambergris Caye, Belize. What are the Health Care Options on Ambergris Caye? A big concern for retirees is the health care system in Belize and the medical facilities on the island of Ambergris Caye. As a permanent resident under the international retiree program in Belize, you will be able to enjoy low-cost health care, but you can also use your North American or European health insurance on the island. Ambergris Caye is home to two pharmacies and several clinics, and there is emergency transport to the mainland, should that ever be necessary. Is the Cost of Living Really That Affordable in Belize? Even if you have some kind of pension or Social Security benefits that kick in at retirement, you may not have enough money to enjoy the kind of life that you want. The cost of living in Belize is incredibly affordable, making it ideal for retirees. Real estate is surprisingly affordable, and you will love just how far your monthly budget goes in terms of outdoor recreation and dining in local island restaurants. Will I Be Able to Stay in Touch With My Family? A big concern for retirees is communication with friends and family back home. That is not an issue at all on the modern island of Ambergris Caye. Wireless Internet and long-distance calls are readily available and affordable. How Can I Stay Fit and Active on Ambergris Caye? This question is a basic one, but there are dozens of potential answers. Many retirees start their day with a walk on the 3-mile stretch of privately owned beach that is a part of the Grand Baymen community. Golf, snorkeling and swimming are also great suggestions, or you could take a group fitness class in the impressive San Pedro Fitness Club, which is also part of the Grand Baymen property. It's smart to ask questions about retirement. Whether you are concerned about income and want to live in an affordable destination, love the tropical climate or just want a relaxed atmosphere, click here to learn more about the retirement properties available on Ambergris Caye, Belize.